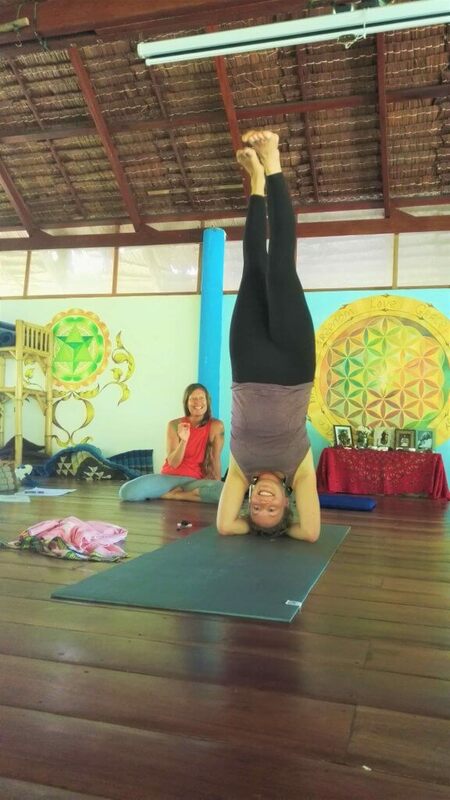 This post tells about days 6 and 7 of yoga teacher training (Koh Phangan) which were crazy busy. On Kirtan nights, we start early in the morning and finish 9pm:ish, which, in my opinion, is a bit too late. Oh well, I signed up for this. Let’s take it all on! On day 6 and 7, we had Ewa’s excellent classes on yoga anatomy. Wow! We can be very grateful that we have such a talented and knowledgeable person teaching us anatomy and correct alignments here on Koh Phangan. You really realise that what you have been doing before has not been that correct. Meaning your asanas have been just somewhere around there, so ie. not really there at all if you want to be precise. You really have to learn and discover a whole new way to use your body to gain the correct asana. You have to become more aware of your body and its movements. Pay attention to the gross but also the subtle movements in the body. I, for example, have noticed and learned that I have very “bossy” buttocks which tend to dominate and therefore, my right muscles aren’t always working. We had a chaturanga dandasana (that is the plank pose for non-yogis) clinic on day 6 (if you want to know how first few days went look here). I realised I haven’t been really doing it right. Now I have to learn to give up the bad habits and learn to do it correctly. Lots of work, but feels amazing when you realise that you are able to correct it and can use the right muscles finally. I don’t think it is perfect yet, but we are getting there, slowly, slowly. I have never been too interested in anatomy but this class definitely lit up the fire to know more. Because of this, I actually visited the Anatomy Museum in Bangkok. I would recommend it to anyone who does sports and wants to know how the body works. 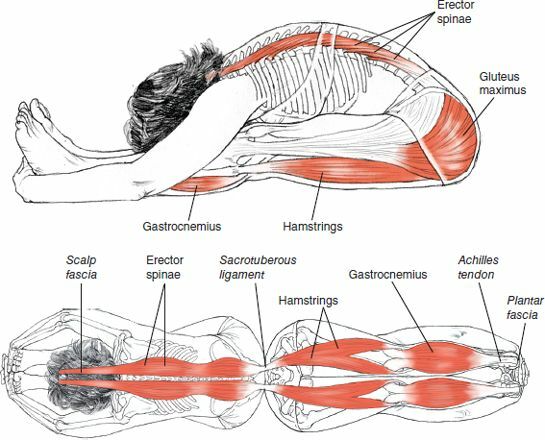 You need this knowledge in your practice and it gives you cues why this and that happens in your body, for instance, when talking about yoga-related injuries. So the anatomy class was definitely no boring at all. Ewa uses also humor in the class, so it is not too serious. We can have a laugh as well. On day 7 we talked about the central nervous system and I learned that there is a reason why I am addicted to handstands and inversions in general. Yes, that’s right. I’ve been practicing handstands 1,5 years or so, now. Every time I do them I feel childlike joy and elation. I want to do one after another because it is so fun and makes me feel good. Drum rolls! Here comes the explanation: it is actually Cerebrospinal Fluid that makes my brain to bathe in endorphins. It was good to learn that it was not just my imagination, there was an actual explanation for it. I strongly encourage you to try being upside down, and in general, experiment with different movements what your body can do. Because it feels so good and it gives you energy! And by the way, if you want some more tips on how to practice handstands, be upside down and do some acrobatics, check out this post. In the afternoon, on day 7 we had Swami (meaning teacher) Pujan talking about Hindu philosophy. I was a bit worried that I would fall asleep because Maria and I had just had a big lunch at Mama Pooh’s. My Mussaman curry was so good that I ate it all. It was a big portion, need I say. After the curry, I had a delicious coconut milk cappuccino. Well, it was more of a latte so I felt very full afterward. Anyway, enough about food. We are going to go to the higher grounds now. Perhaps it was due to the caffeine or perhaps I just found the lesson interesting, but I was able to stay alert the whole 90 minutes. I have read just tiny bits of Hindu/ Yoga philosophy before. That’s because it is not so simple to understand. Nor have I been so interested before. The idea that yoga is not just “gymnastics” is really starting to sink into me. 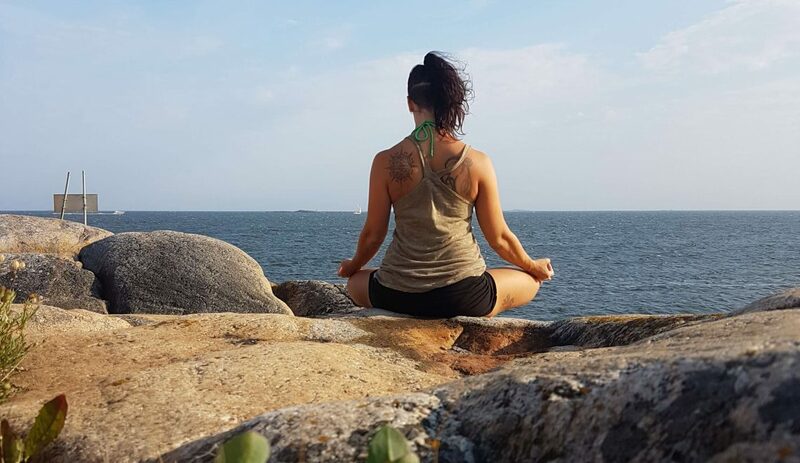 Yoga is a way or tool to use your mind to calm the “monkey mind”, the mind that is constantly (over)thinking. 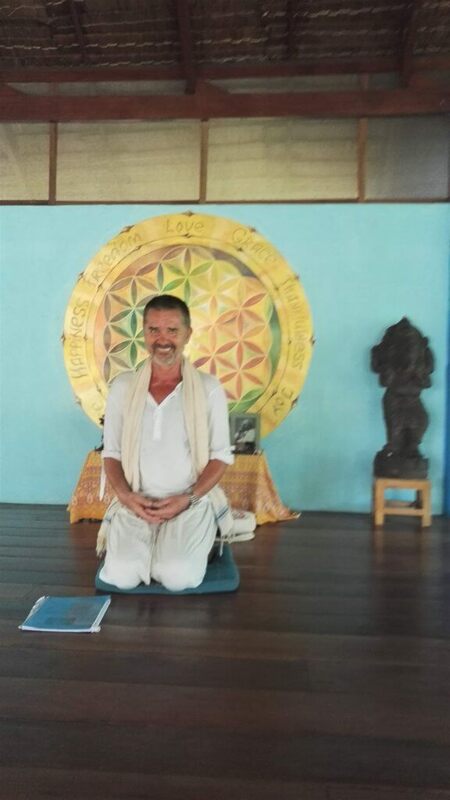 Behind yoga is a whole philosophy and it gives you a unique view of life, a view which urges you to be more aware of yourself and your surroundings. To finish the very long day we still had our first Kirtan which means devotional chanting. I tried to keep an open mind but have to be honest, I wasn’t too keen. I have seen people do it before so I knew a little bit of what to expect. I’m willing to give it another chance but I’m a bit suspicious it would be my cup of tea. The Kirtan finished 8.45pm (15 minutes overtime, grrrr….) and after popping into my friend’s house I was at home 10pm, deadbeat. My musician neighbor decided to start singing and playing her keyboard 11.30pm, again. I am starting to be pretty irritated about it. Even with earplugs, the music comes through. She sings and plays nearly every day, sometimes at 1 or 2 in the morning. That is not right. No respect for other people, in my opinion. Guess I need to confront her and explain it to her. I try to do it in a nice way, though. I knew we would have long days when I signed up for this yoga teacher training. But when you have days which start 7am and finish 7 or 9pm you really don’t have time for self-study, time to absorb and digest all the new information. When you have a small break for a few hours, you pretty much use it for eating and resting. Or if you live on Koh Phangan you might have some errands to run, or maybe you just want to see your friends. Moreover, in my case, I’m struggling to find time to write and edit this. And learn how to use the whole blog platform! If I don’t write things down immediately, I will forget half. So, there are some time management issues here definitely. 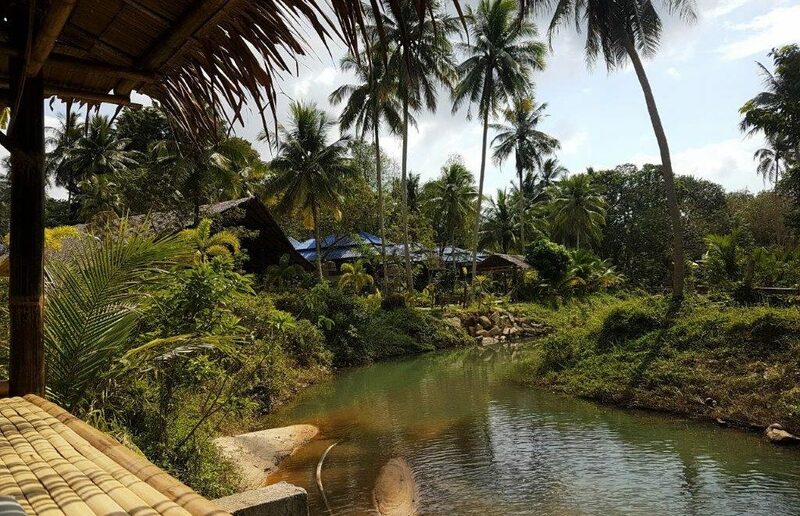 If you want to know how the following days went during our yoga teacher training here on Koh Phangan, check out this link.